Paul Shapiro, Director, Mandel Center for Advanced Holocaust Studies: The Holocaust in Hungary has a very specific significance in the broad history of that terrible period. The number of victims in Hungary was tremendous, essentially one of every ten of the six million Jews murdered in the Holocaust was a Hungarian Jew. Jews of Hungary were a diverse set of communities—modern Jews, traditional Jews. This hugely creative Jewish community was by and large still alive in the middle of 1944. By that point it was very clear that Germany and the Axis powers were going to lose the war, and yet this huge community was deported and put to death in the middle of 1944 when it was clear what the consequences were. Randolph L. Braham, Professor Emeritus of Political Science, City University of New York: Before 1918, the Jews as part of the Austro-Hungarian Empire experienced ever better conditions and took part in the modernization of Hungary, laid the foundations of commerce, banking, industry. All this changed to some extent following the collapse of the Austro-Hungarian Empire in 1918. First a Bolshevik republic was established, short lived, followed by a counterrevolutionary regime headed by Miklós Horthy, the one that was in power until October 15, 1944. Gábor Kádár, Former Senior Historian, Hungarian Jewish Archives: Horthy was responsible for the anti-Jewish policies of Hungary way before the German occupation of the country in 1944. Those who would like to see Horthy as someone who does not bear any sort of responsibility for the events would like to whitewash the responsibility of the Hungarian state administration, the Hungarian law enforcement, the Hungarian government as such, as a responsible actor in the destruction of the Hungarian Jews. Braham: Hungary pursued a policy in tandem with Nazi Germany to undo the peace treaties of post-World War I. And it was a general belief among the nationalists, especially, that Nazi Germany was bound to win the Second World War. Hungary in 1941 entered the war by rounding up close to 18,000 so-called “alien Jews,”deported them to Hungarian German occupied parts of the Ukraine where most of them were slaughtered. Approximately 27,500 Jews. It was the first five-figure mass murder of the Second World War. Zoltán Tibori Szabó: Another phase which happened was the slave labor in Hungary which started in 1942. The important part of the Hungarian Jewry living in Transylvania or in Hungary suffered and lost their lives during the so-called labor service system, aimed exactly the destruction of those men who were in power among the Jewish community. Paul Hanebrink, Associate Professor of History, Rutgers University: Hungary presents a case where within a relatively short period of time, a tremendously large Jewish community was targeted, rounded up, and deported. This was done by Hungarian civil servants, gendarmes, police themselves, who were acting on a vision of Hungarian society that they had developed well before World War II ever began. You really do see the role that certain forces in the history of the Holocaust that come out of Hungarian society itself, that come out of the local society itself, and that this wasn't something that the Germans brought with them. Braham: It was only after the destruction of the Hungarian Second Army in January of 1943 and a few weeks later of the German Sixth Army at Stalingrad, that the government of Hungary, realizing that the war might be lost, began to establish contact with the western powers in an illogical, fantastic assumption that they are ready to surrender but only to the western powers. They were more afraid of the Soviet Union and Bolshevism than of Nazism, completely overlooking the alliance between America, Great Britain, and the Soviet Union. These plans were known to Hitler and Hitler decided to occupy Hungary. Kádár: After the German occupation, Miklós Horthy did not resign. He stayed in the position as legitimizing the occupation in the eyes of the public. He also appointed a government that collaborated with the Nazis and that organized deportation of the Hungarian Jews. Of approximately 825,000 Jews living in Hungary in 1941, some 63,000 were killed by Hungarian authorities prior to the German occupation of March 1944. 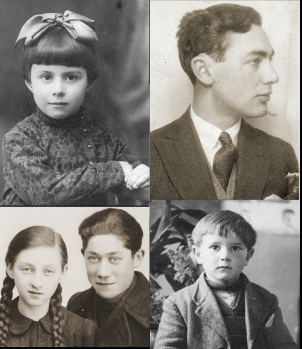 After March 1944, the Hungarian government of Miklós Horthy deported to German control over 435,000 Jews, most of whom were murdered in Auschwitz. After Horthy's removal from power in October 1944, the short-lived Hungarian fascist Arrow Cross regime murdered or caused the deaths of approximately 100,000 additional Jews. Szabó: On one hand, Hungarians knew exactly what is this common history with the Hungarian and the Jewish community, but they also know the facts of the Holocaust. From time to time, different political parties are coming to power and are twisting the messages. They fully admit the responsibility of the Hungarian government with the Holocaust when they are speaking in Washington, in Paris, or in London, and they are denying this responsibility when they are speaking for the national audience. Braham: What I would like to see—the Hungarian head of state, or head of government, addressing the nation officially, from parliament, to assume responsibility for what the Hungarian authorities have done in not protecting their fellow citizens of the Jewish faith, and this should be reflected in daily positions of the government when talking about the Holocaust, the most tragic phase in the history of the Jews and the darkest chapter in the history of Hungary itself. 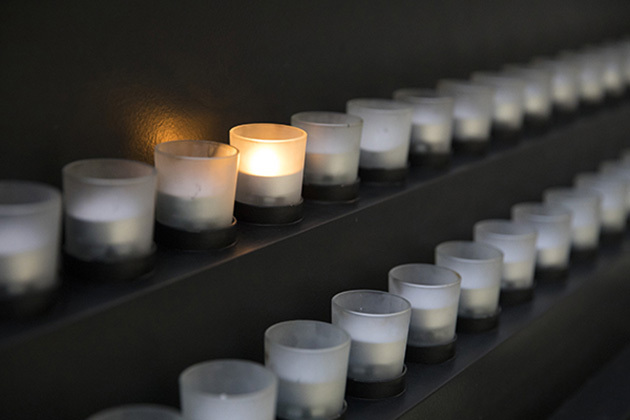 As of May 2015, no Hungarian head of state has formally given an address in Hungary's parliament acknowledging the country's complicity in the deaths of hundreds of thousands of its Jewish citizens during the Holocaust. This video examines some of the key causes and questions related to the Holocaust in Hungary and how it unfolded, resulting in one of the largest death counts of Jews in the final years of World War II. How was it possible for so many Hungarian Jews to be killed so late in the war? What was the role of Hungarian collaborators and leadership in this effort? Finally, what is the state of the memory of the Holocaust in Hungary today, and why is this an important issue in the contemporary European landscape? Special thanks to Transit Films, Yad Vashem, and the Hungarian National Film Archive for permission to use some of their film and still image materials in this program.